Description (See Oregonian news article: 8-1-1926, p.1.) Has been cut out of an album. 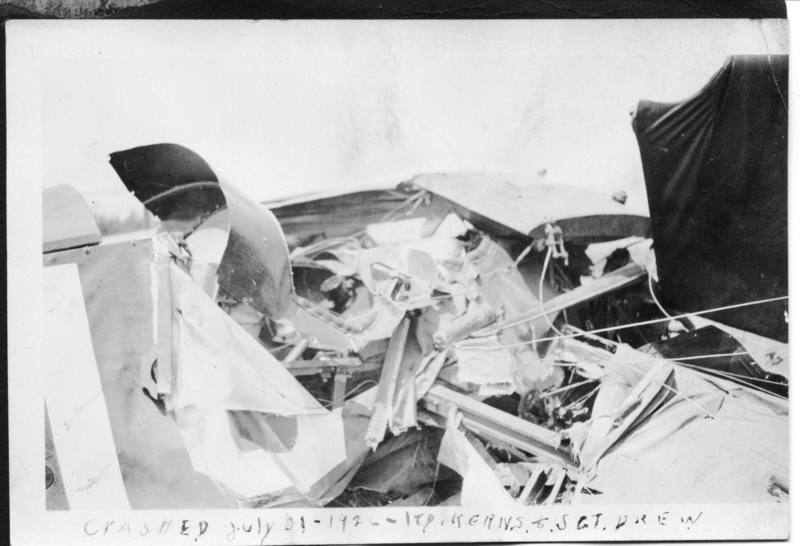 Written on front: Crashed July 31 1926. J. T. Kern and Sgt. Drew. Physical Description H 3.5"" x L 5""